Deery Repair Mastic - J.D. 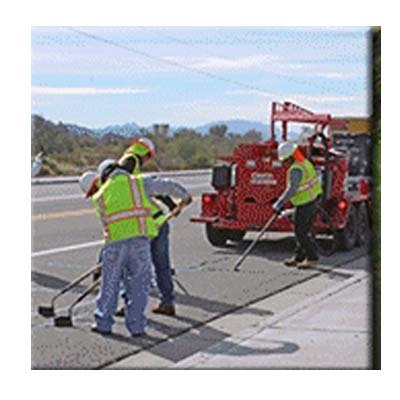 Honigberg International, Inc.
DEERY Hot applied, stone filled patching grout for simple, long lasting repairs that extend the life of distressed PCC and AC pavements at a fraction of the cost of replacement. When the damage has progressed beyond the limits of sealingand filling Deery Repair Mastic® is the solution to further extend the useable life of paved surfaces. Hard, durable aggregate and Deery’s innovative, voidless compound requires no compaction and remains serviceable through many seasons. 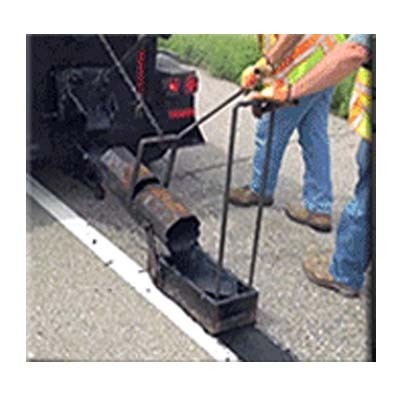 Deery Repair Mastic is ideal for repair jobs in high traffic zones. New repairs are ready for traffic as soon as they cool. Only a small crew and minimal equipment is required for an easy field application and smooth, long lasting results. The answer for surface repairs between extensive filling and resurfacing operations is hot applied Deery Repair Mastic. A high performance mastic for application in unconfined areas where installation is not recessed and feathered edge repairs are needed. A high performance mastic for application in vertical-side recessed configurations resulting in a confined repair with more stability and load-bearing capacity than unconfined installations. Properties Deery Repair Mastic is a hot applied pre-packaged, ready-to-melt mastic material for concrete and asphalt pavements. 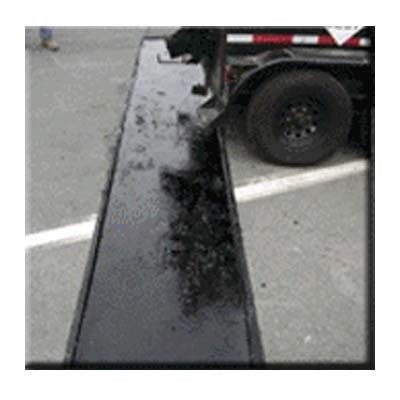 Deery Repair Mastic is composed of quality-selected asphalt and/or resins, clean, hard, durable particles of wear resistant aggregates, synthetic rubber polymers, anti-oxidants, naturally occurring and man-made reinforcing materials. Available in black (asphalt) color.